There are several well-worn myths regarding banking that have been known for years, but simply no longer apply in modern times. This article explores some of the most common banking misconceptions and explains how, by shattering these myths you can save yourself a considerable amount of money. Most people believe that the best mortgage products are those that carry the lowest headline repayment rate according to APR (annual percentage rate). Although most mortgages are ranked in ‘best buy’ tables according to their APR, this does not necessarily mean that they offer the greatest value for money. To consider whether a mortgage is right for you, you should consider a mortgage as a product and judge it by more than simply the APR. You should consider the mortgage term, the arrangement fees that come with the mortgage and, most importantly, any ‘lock-ins’ that come with the mortgage and are designed to make it expensive to switch mortgage or try to find a better rate. 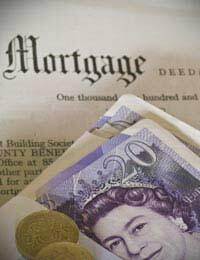 It is always therefore a good idea to speak to an independent mortgage adviser who can give you authoritative advice regarding the true cost of a mortgage. Most people have credit cards, but sadly not everyone fully understands how they work, or the best way to may them work for you. The most common myths relate to how credit card repayments are made. Do you think, for example, that the most expensive debt is repaid first? You are wrong. Credit card companies actually make large sums of money by making sure that your monthly credit card repayments are used to pay off the cheapest debt first. The most common myth regarding current accounts is that they are all pretty much the same, and that there’s little merit to be gained from switching bank accounts. Many people also believe that the entire process of switching bank accounts it too costly and time consuming to make it worthwhile. Neither of these is true. The UK current account market is full of choice. It all depends on what you want from a bank account. For example, if you do not have an overdraft, you should be using an account that offers a higher rate of interest for always being in credit. If, however, you always go into the red, then you should be switching to an account that doesn’t penalise you heavily for doing so. These days the decision to switch bank accounts is usually also hassle-free. Simply sign a form with your new bank account provider and they will contact your existing bank to arrange transfer of all your direct debits and standing orders. It couldn’t be simpler. Since the collapse of Northern Rock in 2007, the preconception that people used to have about the safety of financial institutions has been sorely tested. Whereas a savings account in a bank used to be considered safe as houses, this is clearly no longer the case. Savers should remember however, that financial collapse is a once in a lifetime event. Furthermore, since the last crisis, the Financial Services Authority has increased its level of compensation in case a bank defaults. Now, individual savings of up to £50,000 with any single institution are protected and will be recovered if the bank goes bust. When it comes to taking out a loan, the most common myth is that the headline rate the bank promotes will be the same as the one you eventually end up with. Instead of being lured in by the posters feature a loan rate of 6.6%, you should enquire about the typical lending rate instead. This will usually be considerably higher. This is because all lenders apply what is known as a ’rate for risk’, and only those customers with the best credit score will ever be offered the headline rate of 6.6%. Most people will be offered a rate that the bank considers to be more appropriate for their level of risk. Therefore if you want to get the best loan rate, make sure that you obtain your credit score first. This will allow you to look at your credit history and fix any errors that could cause you to be offered a less competitive rate. Finally, if you are offered a considerably higher rate than the headline rate, remember that you do not have to accept it. You may still be eligible for a cheaper rate elsewhere. For years people travelling abroad were told that the safest way to take money overseas was through traveller’s cheques, which minimised the likelihood of a traveler being robbed for their cash. Travellers cheques however, could soon be a thing of the past, having now been edged out by prepaid cards. These cards work similarly to credit cards, except you can load them with a set amount of money before you travel. This money is then converted into euros or dollars and can be used on your trip. Just like a credit card you can use the card to pay for goods and services via Chip and PIN, and you can also use them to withdraw money from local ATMs. Some of the best prepaid cards on the market entitle the users to free withdrawals and more competitive exchange rates than available on the high street or in an overseas bureau de change. You can also cancel the card if stolen without losing your prepaid account balance. Dear Expert, WHERE HAS MY MONEY BEEN FOR THE LAST 12 DAYS - SUNBATHING?! According to 'Kevin' from the L&G Investor service, it went on a 12 day Away Break the moment I requested that £7,500 of it was sold by the Fund Manager on Oct 20th. It packed a suitcase, doffed a Kiss Me Quick hat and went on its merry way.Stopping first in a "Client Account"for 5 days, just to dip its toes in the sea.Then zipping off (although possibly not the right word ), by 'Air BACS' - 'Our slogan: 'We'll get you there Very, Very Slowly indeed... if at all' - to the Nationwide, where presumably it stretched out, took in the scenery, sipped a Margherita and topped up its tan, before I brashly interrupted its reverie with a phone call to the erstwhile 'Kevin', asking where it was. Unable to afford a holiday in the Caribbean myself this year and waiting urgently for my money to arrive the quoted 7-10 working days, I was curious as to who had been benefiting from holding on to it.But again, according to Kevin, who was always somehow really unhelpful while reading out his helpful, prepared scripts, the money simply took its time arriving.When I pointed out that surely things via BACS had to move faster than this, he referred me to the usual 7-10 day theory and offered me £25 for 'anxiety and inconvenience'. According to L&G no-one else was available to speak with me.Everything was pretty hunky dory with them and therefore should be hunky dory with me too.But it's not.I feel brushed off and want to know why things took so long.Who benefited from 7,500 worth of interest for nearly half a month? And as someone investing £50,000 with L&G, anxious and stressed as Iwas having depended on this money arriving on time,I wanted to speak to someone in charge and not just be met with 'Company speak' and a referral to an outside site on the Internet called TrustNet for anyfurther information? Thank you.Suzannah.